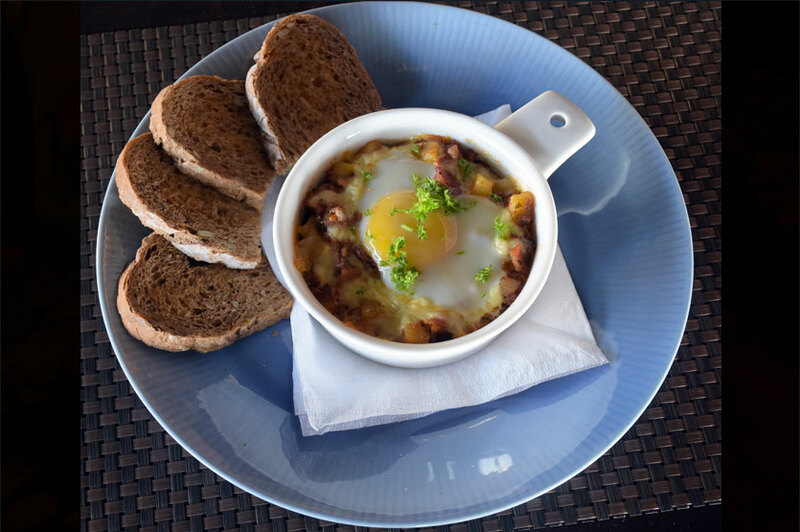 Let’s Brunch is probably Sri Lanka’s first restaurant specializing in brunch. 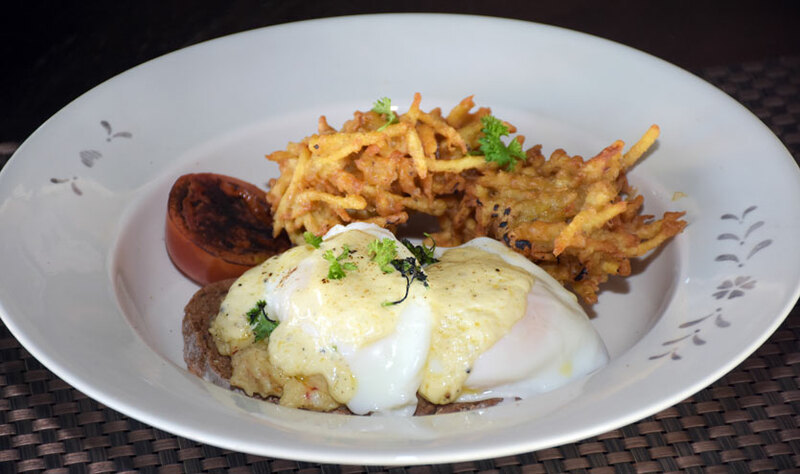 Having opened its doors last year, the restaurant is run by Thisakya who thought that Sri Lanka should also have a place specializing in brunch as well. Operating successfully for nearly a year, Let’s Brunch has recently launched a curated menu that is tailored to customers’ tastes having experimented with what works and what doesn’t. 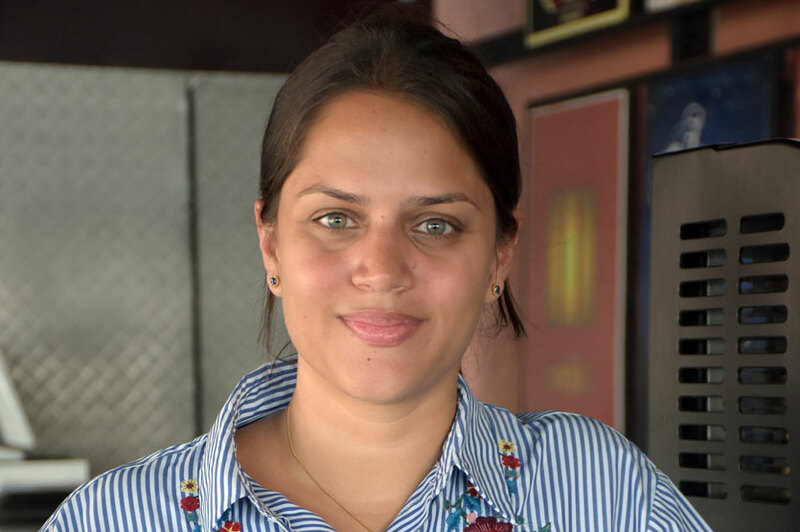 “Our restaurant is for families and teenagers so our menu is priced reasonably to cater to everyone and our new menu is introduced after having what works with our customers and what doesn’t.” says Thisakya. Located at the same dining area of The Fat Crab, Let’s Brunch offers customers an amazing view of the ocean. 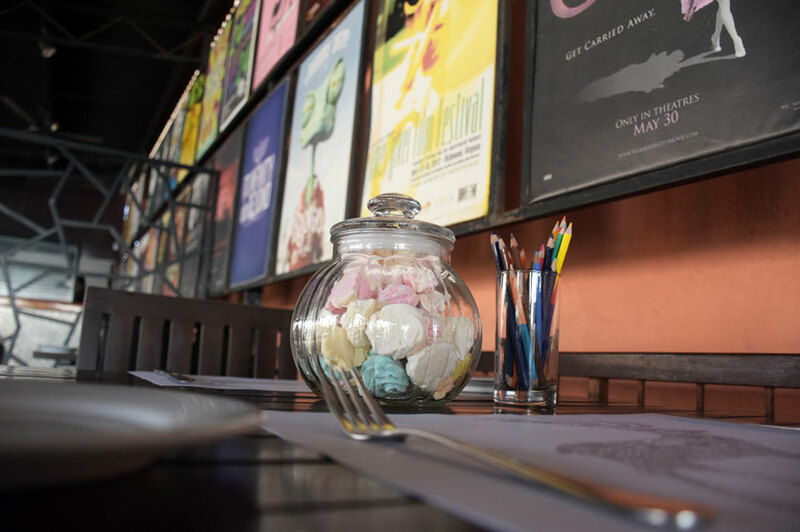 The ambience inside is equally relaxing decorated in a minimalistic manner save for the massive vintage posters of movies and Broadway musicals adding a pop of colour. Separating Let’s Brunch from The Fat Crab is the table setting. 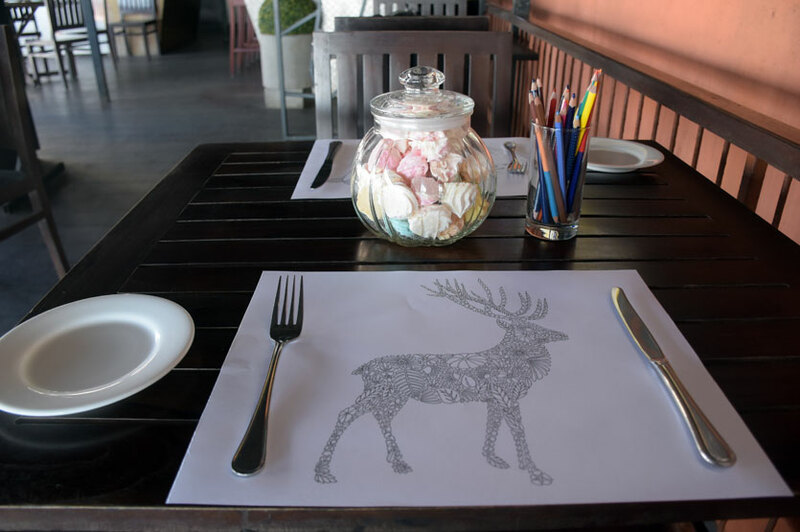 The table centrepieces are jars filled with meringue kisses and toffees and the tablemats are colouring mats that customers can colour in while waiting for their orders or having their breakfast. We tried their Tango at Rs.625 which is a mix of pineapple, orange and mint and their Beets at Rs. 525 which included beetroot, carrot, apple and ginger. 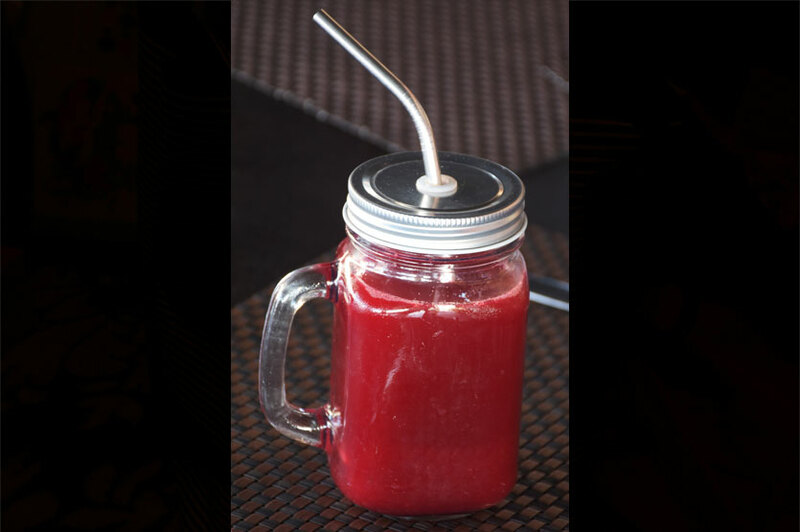 Their Beets drink is the perfect balance between fresh and sweet and is somewhat of a cleanser as it the ingredients all contribute towards anti-inflammatory benefits to the body. The beetroot, carrot and apples together create a distinct taste that’s topped off by the kick given to it by the ginger. I’d recommend the Beets for anyone wanting a bit of a cleansing drink in the morning. The Tango however, is one for those who like to add a bit of sweetness to their breakfast. The combination of the sweetness from the pineapple and the citrus of the orange is perfected by the cooling taste of mint. We started off with their Spicy Crab Eggs Benedict at Rs. 990. The dish included spicy crab meat on top of wholewheat bread topped off with poached eggs served with a potato fry. We loved that there was a generous amount of crab meat that accompanied the dish and the poached egg was done perfectly. The potato fry added an element of crunch to the dish that complimented well with the Eggs Benedict. We then moved onto their dish aptly titled ‘The Hangover’. This is one dish of the many that is introduced by their all new breakfast menu. With the base of the dish made with tomatoes, bacon, potatoes and sausages, it is topped off with egg and cheese and baked in a small pot. It’s accurately titled the Hangover because it’s the perfect breakfast on a Saturday morning after a busy night as the dish is lavishly packed with meat and cheese and served with wholegrain bread. Our favourite however, was their vegetarian breakfast option ‘Mango with Feta’ priced at Rs. 675. 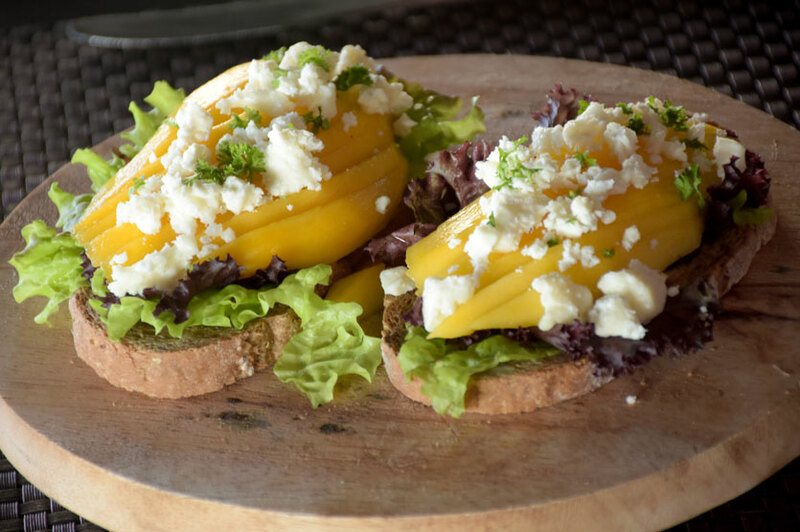 The dish is compiled of two slices of wholegrain bread with mango, lettuce and feta cheese on top. It’s an utterly simple dish that is done elegantly by Let’s Brunch. 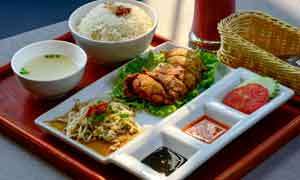 The presentation is eyecatching but the taste of the dish is what made us love the dish. The ripeness of the mangoes paired together with the crunch of lettuce and the almost starchy nature of the feta cheese is what made the dish stand out. 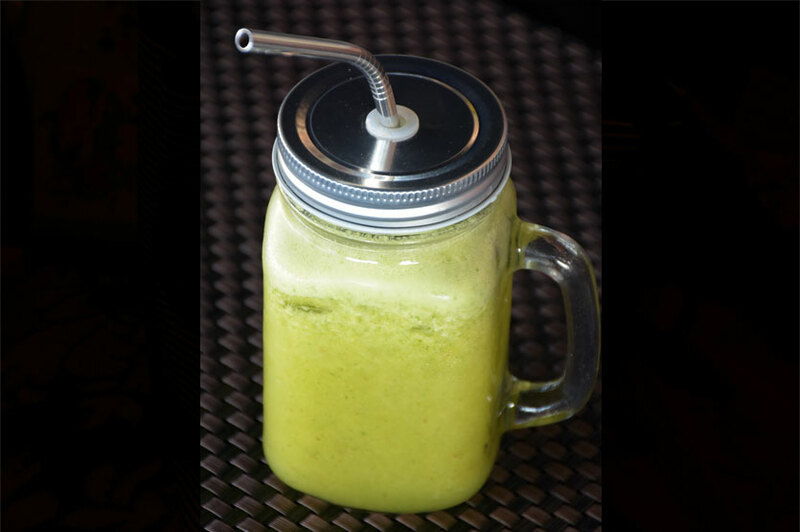 Despite its simple ingredients– the flavours were anything but! 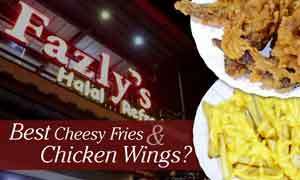 Their all new improved menu now also includes sides and the addition of new dishes. We loved the food at Let’s Brunch! The portions were large, the presentation was great and the flavours were plentiful. Coupled together with the view they offer, the relaxing ambience and the fun table activities, Let’s Brunch is the perfect place for a weekend brunch date! *Please note that Let's Brunch is open on weekends from 10:00AM to 2:00PM. Reservations are recommended. Whereis the location of this restaurant and can i view the menu card please.